"I will not serve as a panelist at a public conference when there are no women on the panel." While we hear much about the divisiveness on Capitol Hill, I am optimistic that many of my fellow legislators will sign on to the pledge. With insidious unconscious bias reflected in so much data, it is clear that women, especially women of color, are underrepresented in leadership roles. If we can use our influence to advocate for their taking their rightful role, it will be good for our country and put us on a more competitive path for a more prosperous democratic society. I always assumed the United States was among the most progressive for gender equality. We have amazing and strong women, and my formative years witnessed a women’s movement that seemed to have accomplished what previous generations could not. Surely it would only be a matter of time before the playing field was even. That changed when, upon arrival in Switzerland as US Ambassador in 2009, I was faced with some daunting facts. Since 2006, The World Economic Forum in Geneva has ranked 149 nations on the basis of gender equality. In 2009, we were ranked 31st, well below Switzerland’s ranking of 13, despite the fact that Swiss women did not get the right to vote until 1972. U.S. numbers continue to trend the wrong way. What’s worse, the U.S. numbers continue to trend the wrong way. In the report’s first year, we were ranked 23rd and each subsequent year we have lost ground. Today, we rank 51st, bested by countries like Cuba, Mozambique, Australia, and Spain. Most of Europe and Scandinavia have marked steady gains as we have tumbled further down the list. The consequences of this poor performance, particularly when it comes to the economy, are easy to measure. In 2012, Credit Suisse came out with a six-year longitudinal study of 2,400 multinational companies showing that, on every economic metric, companies with women in leadership outperformed companies with less gender equal leadership. Scores of other studies reflect the same thing. Women’s leadership is linked to economic development. Lack of women’s leadership represents lost opportunity. A democracy is not healthy when half the population lacks equal opportunity. I don’t usually like to throw out a lot of statistics and numbers, but in the case of gender bias the numbers are valuable, because our culture is trained not to see the bias. Actress Geena Davis, of Thelma and Louise fame, has been working for many years to help people see the unconscious bias reflected in our media culture. She’s the one who taught me that we are constantly surrounded by gender inequality that we consider normal. She went on to explain that this is true even when it is a computer-generated crowd shot. It’s when the director eyeballs the shot and says “that’s enough women!” or “I think we need more men in the shot!” They don’t count the men and women, it’s just a certain sense of what is comfortable or “looks right.” It is instinct that comes from being a part of a culture that routinely denies women an equal chance. GenderAvenger helps us see gender inequality every day in real time. This is what GenderAvenger helps us see every day in real time as people go to conferences, watch TV, and read articles. It is done playfully and without snark. You help us catch ourselves in the act of treating women unequally. I love going on the GenderAvenger twitter account to see them award GA Stamps of Approval for conferences with equal representation for women and women of color. I also like it when I see the bad news tweets calling one out that has a 25-4 ratio of men to women. We benefit from self-awareness. Because what we are up against is an invisible enemy: unconscious bias. It is hurting our economy and hurting our democracy. Here’s to a future with more GenderAvengers in Congress working for conscious gender equality and helping America make good on its basic promise of equality for all. Contact your rep and tell them you'd like them to sign the GA Pledge! 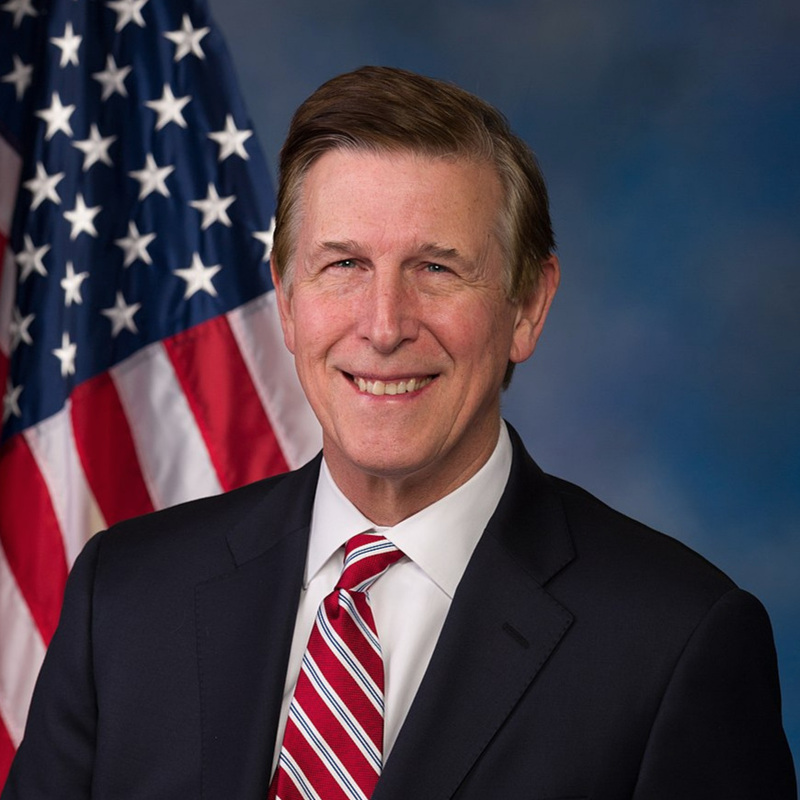 Congressman Don Beyer is serving his third term as the U.S. Representative from Virginia’s 8th District, representing Arlington, Alexandria, Falls Church, and parts of Fairfax County. He serves on the House Committees on Ways and Means and Science Space and Technology, and is a member of the New Democrat Coalition. He was the Lieutenant Governor of Virginia from 1990 to 1998, and was Ambassador to Switzerland and Liechtenstein under President Obama.